Chilliwack – On the heels of Tuesday night’s Public Forum on addiction and the crisis that everyone is witnessing, the Province of BC released new and staggering numbers on illicit drug overdoses. Fentanyl remains present in a high number of illicit drug deaths. From Jan. 1 through Sept. 30, 2016, fentanyl was detected in a total of 332 cases, or about 60% of all illicit drug deaths. That is almost triple the number of fentanyl-detected deaths for the same period last year. The BC Coroners Service research unit notes that the proportion of males dying from illicit drug use has steadily increased over the past four years. In 2012, 71.2% of those who died in these circumstances were male. To date this year, that figure has risen to 80.7%. In the Valley, Abbotsford continues to lead the way (Fraser Valley numbers) in OD’s (most in not all fentanyl related) with 26 deaths so far in 2016. the expected total could be 35. 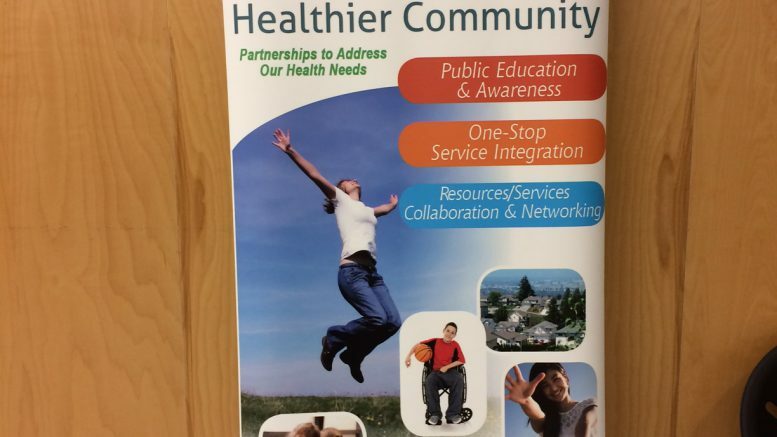 Maple Ridge and Surrey are also in that ball park figure according to Andrew Larder, Provincial Health Officer with Fraser Health, who addressed the capacity crowd at Chilliwack Secondary. Well over 60 people attend the forum including Chilliwack-Kent MLA Laurie Throness and Chilliwack City Councilor Ken Popove. Sadly, local Valley media seemed uninterested as the only media there was Don Lehn, News Director of FVN Fraser Valley News, who was also the moderator/emcee. Darcy Paul and Molly White with Qwi:qwelstom Wellness Workshop touched the hearts of those attending, as did the Youth Forum. 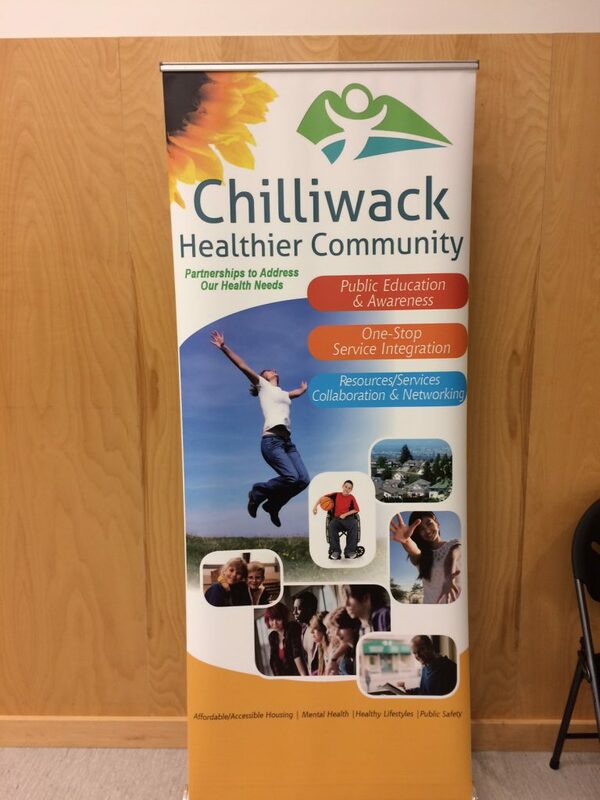 Three teens working with Maggie Aranoff and the Chilliwack Local Action Team working through Chilliwack Healthier Community. Jennifer Harley wrapped up the evening with stark cold facts. Harley was the former Program Manager for the Insite Supervised Injection Site in Vancouver’s Downtown East Side and she pulled no punches on why she believes in Insite and the lives saved. Sadly by the time she spoke, Popove and Throness had already left. Chilliwack Healthier Community will host another public forum, this time on the homeless crisis, on November 24 at UFVs Black Box Theatre at Canada Education Park. Judy Graves will be the Keynote Speaker. Judy Graves, Vancouver’s first and only Homelessness Advocate, speaks about the social and economic costs of homelessness. She has cultivated caring connections with people living on the streets and in shelters, and served as a tireless advocate on behalf of those marginalized by homelessness. Judy’s presentation will be followed by public discussion with panelists from the RCMP, City of Chilliwack, and Salvation Army. Hosted by Chilliwack Healthier Community, in partnership with University of the Fraser Valley and the City of Chilliwack. 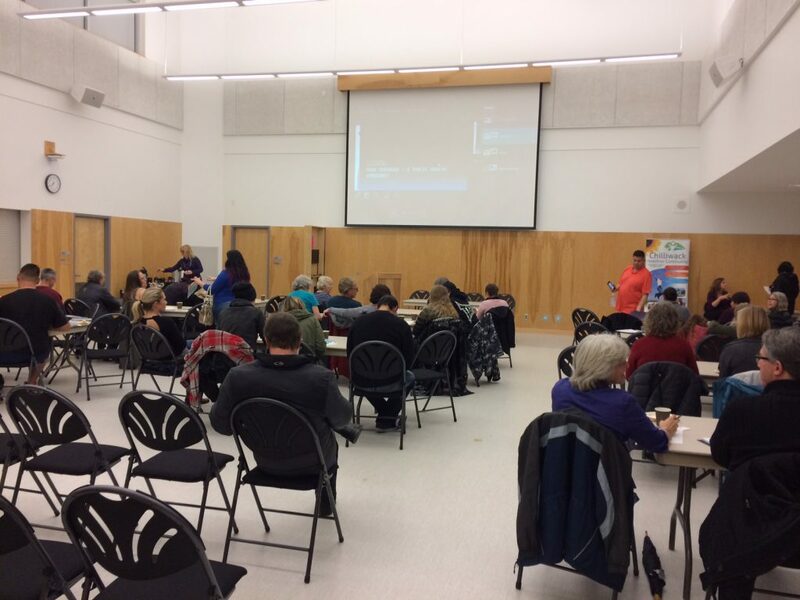 Be the first to comment on "Chilliwack Addictions Forum By The Numbers"